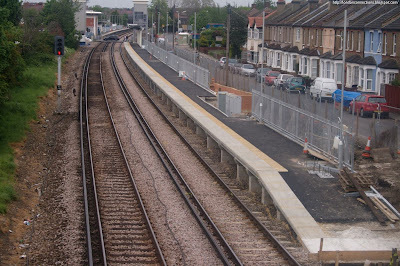 Mitcham Eastfields station is allegedly opening in two weekend's time, and last we looked, progress was disappointing. It turns out I was wrong to think there was anything to be built in the empty end of the building. While some plans show the ticket office at the north end, they've clearly switched it around and that end will be open to the elements. No ticket barriers either. Still a lot to do, but the May 18th date isn't looking quite as unlikely as before. naah... can't see the HMRI signing it off at what will only be a moment's given notice between now and the eighteenth. 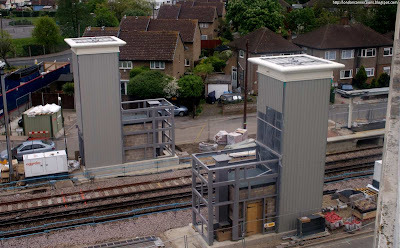 In terms of lead time this station has a similar track record to Shepherd's Bush, so another delay won't make much difference to the locals. The development is fantastic and hopefully it will open on 18th May. 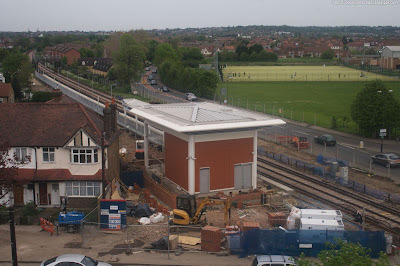 As a local councillor I look forward to the station opening later this month. A post on another group suggests opening date is 1st June. This is from someone who works for Southern.